As detailed in a Jonesboro Police Department report, Derrick Thomas, 18, was hit with several new charges following the bizarre incident Wednesday morning in District Court. Thomas, seen above, has been in custody since his arrest last month for lying naked on a Jonesboro sidewalk. 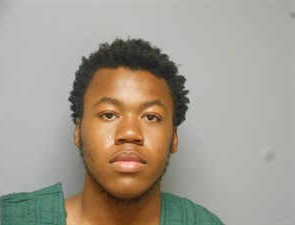 The teen then ran into the courtroom, where Judge Keith Blackman was on the bench. Thomas proceeded to hold up his hands and yelled, "Court is back in session!" Blackman, the report notes, “had to stop court and everyone was looking at” the naked defendant. Thomas was subsequently returned to the Craighead County jail, where his docket now includes new charges for indecent exposure, disorderly conduct, resisting arrest, and obstructing governmental operations.